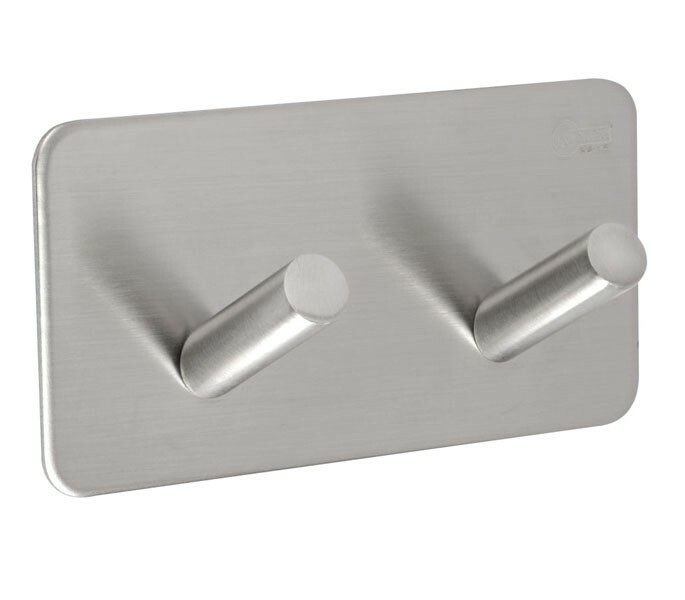 These stick on coat hooks with double peg for use in cubicles is manufactured from fingerprint resistant grade 304 satin stainless steel for a durable finish. The double peg feature on our adhesive coat hooks offer an aesthetic and practical solution for keeping coats, hats and bags off the floor during cubicle occupancy. The item provides a simple solution to coat storage and function optimally when care is ensured during installation onto door or partition. For a long-lasting, secure grip, firmly position the self-adhesive pad onto a clean, even surface. 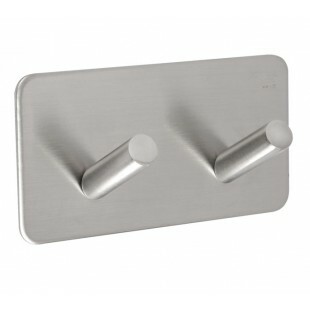 Our stick on coat hooks in stainless steel with double peg is 90mm in length and 40mm in width with a hook projection of 30mm.